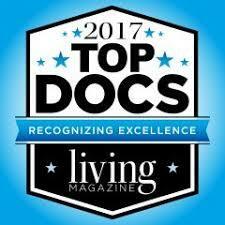 LIVING MAGAZINE Our Nurse Practitioners, Robert and Justin were featured in the 2017 Top Docs. Optimizing hormones to improve your quality of life is the goal at Kingwood Health & Wellness. Mr. Morgan, long-experienced with obesity, diabetes, and thyroid health, has seen multiple patients suffer unnecessarily from the symptoms of poor diet, sleep, hormone function, and thyroid function. Our mission is that once properly diagnosed, patients can lose the weight and begin an exercise routine, all while they benefit from hormone therapy. “Kingwood is such a health-conscious area. The patients we see here are very knowledgeable about traditional health care, and some even say that they’ve tried every else before coming to Kingwood Health & Wellness,” says Mr. Morgan. “In customary medicine, they look at age-specific blood work. When we were young, our hormones were functioning at their peak. In looking at optimal health, why not seek to achieve levels that are optimal for each person, not for their age range? I don’t talk to patients about where they should be for their age. I say ‘let’s go for optimal health”, this is our mission. Obesity can be caused by excessive carbohydrate intake, a hormone imbalance, food allergies, side effects from medications, overeating due to stress, and a lack of exercise. Sometimes it’s a combination of these factors. Trained in weight loss, the team at Kingwood Health & Wellness is prepared to consider all factors for optimal health, and work with patients to get them to optimal health. It’s not just about the number on the scale, it’s about being healthy, both on the inside and on the outside.